Double ended interchangable tool with three burnisher tips, plus more. Includes: Awl; 3x burnisher tips; #11 blade. Used for cutting, transferring, and embossing. 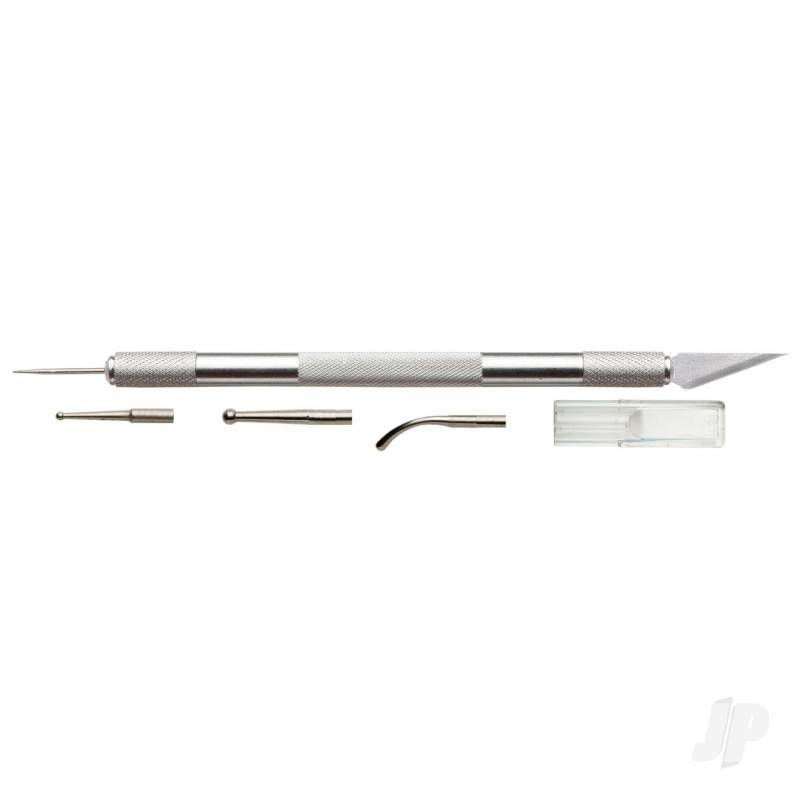 This double ended tools comes with a pointed tip (awl/ air release tool), three burnisher tips (.0625, .125, and .125 curved style), and a #11 blade.